Contact Peter Flann at Greyhound Rescue to express your interest. Another successful adoption - amazing work Greyhound Rescue! 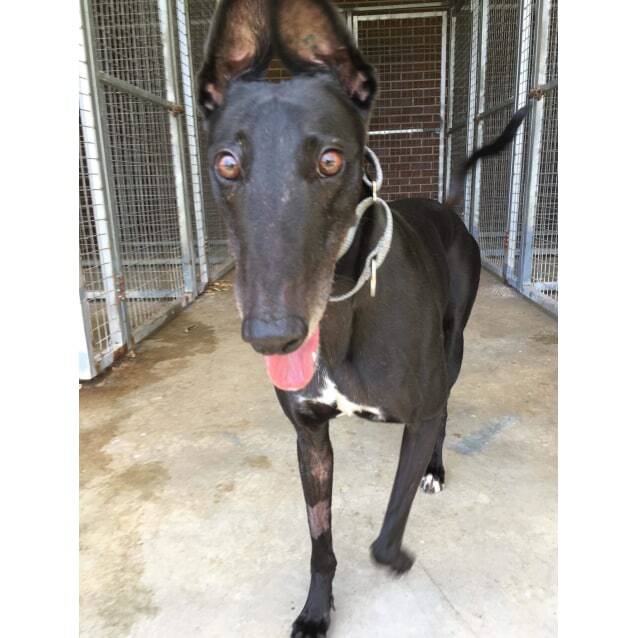 More successful adoptions - amazing work Greyhound Rescue! How cute are my ears? Hi there, I’m Cheeky and my mission in life is to be your friend! I’m a happy, friendly girl who really does want to be friends with everyone. I’m also a rather stylish girl, I’m always very well dressed in my sleek black coat, really not to toot my own horn, but you won’t believe how shiny and soft my coat is – besides, black never goes out of fashion so you’ll always look super stylish with me on your arm. 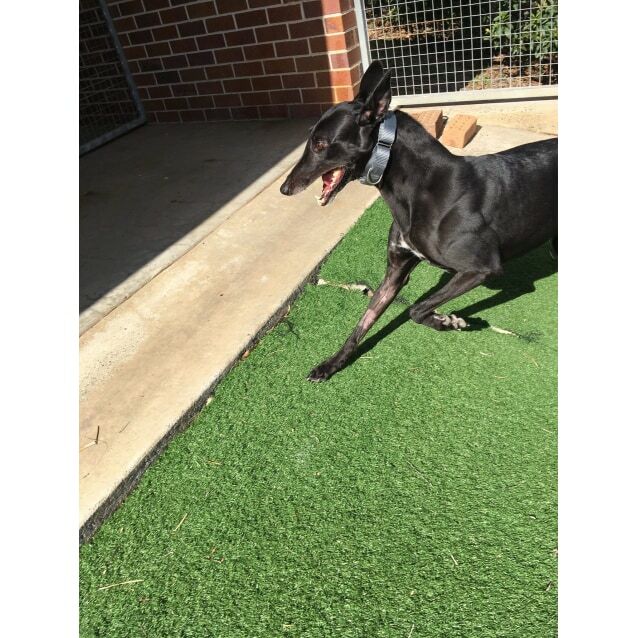 I’ve been very friendly with all of the greyhounds that I’ve met here so far, but I’d love a home where I can be pampered without those small fluffy things they call dogs. Once we have found your new greyhound we will send you an application form to complete and return. Then we will arrange a house check. It is important that the right hound goes to the right home! We can arrange for you to meet the dog/s and they can meet your family and/or other pets. Our hounds go “on trial” with your family for a minimum of 2 weeks. We have dogs that are small dog and cat friendly. We expect greyhounds to be 'indoor dogs' and not left alone for long periods of time. Ideally they would have a doggy or human friend for company most of the time.